Photo from leaked chat logs obtained by Unicorn Riot showing Identity Evropa members in Arizona. 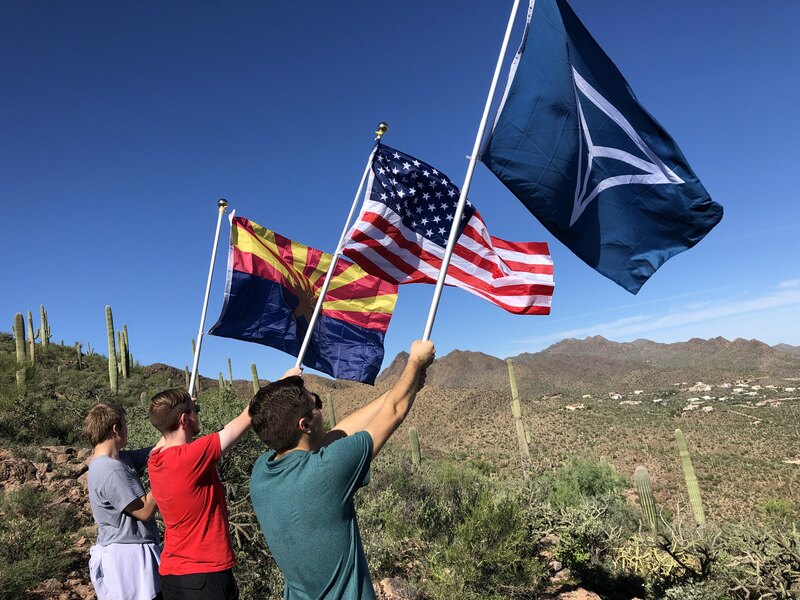 Casey also incorporated Identity Evropa in Arizona in 2018. Chat logs from Identity Evropa released by Unicorn Riot earlier this year showed support for racist comments made by Rep. David Stringer, R-Prescott, last year and a number of users who had been organizing for the group locally. The database of leaked chat logs can be found here, and references to Stringer in the database can be found here. The leaked chat logs show that the group has a substantial presence in Arizona that spans from areas like Winslow and Flagstaff to Yuma, Tucson and Phoenix. In 2017 and 2018, there were 31 known instances of Identity Evropa posting recruitment fliers on college campuses in Arizona, including at Arizona State University and the University of Arizona. Oh, so they’re racists AND pedophiles. A winning combination! Just what one of the ‘Redist’ States in the Union needs…yet, another lunatic fringe gaggle stirring the pot. One would feel that with organizations like the bottom fishing Alliance Defending Freedom, and its influence peddler, Cathi Herrod, we would have had our fill of hypocrites and ignorant zealots. Foundation for American Society, FAS?!? So they’re FAS-ists? Want to take over the GOP..? nice to know it’s not already a done deal. Thanks for the ‘heads up’ on these ignorant freaks.